In response to the changing client-consultancy relations in PR and communications in MENA, and to meet our commitment to uphold best practice, PRCA MENA has launched its new Client-Consultancy Charter. Developed through consultations with members, the ten-point Charter is intended to help PR consultancies and client organisations work as effectively as possible together, and to avoid the common issues which can damage relationships. Late payments were highlighted as a particular issue for practitioners working in MENA, and therefore the Charter includes specific provisions around late payment. The guidance also includes more general principles to improve the client-consultancy relationship, including expectation management and appropriate attitudes towards consultants’ time and clients’ budgets. The Charter aims to facilitate client-consultancy relations where both client and consultancy deliver against key commitments in order to achieve common goals, and where each partner understands and respects the commercial and operational imperatives of the other. It therefore supplements – rather than replaces – legal contracts and agreed outputs and outcomes. Francis Ingham MPRCA, Director General, PRCA MENA, said: “Agreeing common rules to govern expectations in the client-consultancy relationship is a major step forward for our industry across the region. Constructed after several months of consultation with agency and client leaders, this Charter emphasises the importance of ethical professionalism within PR. I hope that it will inspire even better relationships within our profession”. Loretta Ahmed MPRCA, CEO, Grayling Middle East, Turkey and Africa, said: “Setting out the ground rules at the start of any new relationship is key to its success and longevity. 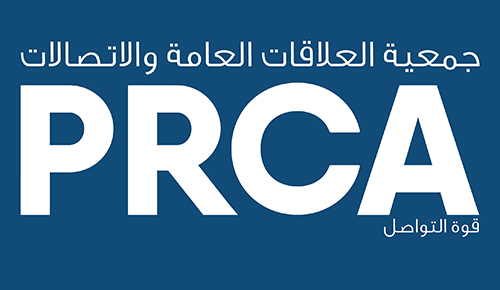 We encourage our members to issue the PRCA MENA Charter to their clients in the early days of all new mandates – as contracts are signed and scopes are agreed. Terms and timetables are all well and good but getting the framework of the relationship right to build trust and transparency is just as important. This is where the Charter can really help set expectations from both sides – the best relationships are never one-sided after all”.